There are a variety of factors that contribute to creating a holistic, sacred space, but one theme we see over and over is altars. Some of our amazing guests, including Joe Mauricio, Rebecca Casciano, Katie Dalebout and more have all mentioned special areas in their spaces that they dedicate as altars, and I have a Buddhist altar in my own home! I have also used altars as feng shui treatments. What's so special about an altar, and why is it such an integral part of creating a nurturing, mindful space? In many cultures, altars can serve as a powerful aid to spirituality, offering a dedicated place for meditation and focus. They are helpful reminders in our spaces to take time for centering ourselves and practice gratitude. Altars can help us tap into and re-align with the flow and cadence of nature and the spirituality of the universe to keep us grounded and balanced. The presence of altars can actually be seen in many cultures and religious environments, and each has its own way of creating and paying tribute to the universe and / or gods. Hindu altars serve as a place of worship for families and individuals to pray to their respective gods and are very specifically set up. They should be created from sandalwood, if possible, placed in a separate room or space facing East or West and include items symbolic of all five senses in addition to a representation of the desired deity. Each morning, worshipers are expected to replace all the previous day's offerings (flowers, incense, fruit, etc.) with a fresh new supply. In Taoism, altars serve as a physical representation of the path each of us takes to immortality. Taoist altars can vary highly from practice to practice and person to person, but most all include a few common items including a sacred lamp, two candles, three cups, five plates of fruit and an incense burner. A Buddhist altar serves as a place to invoke holy beings to dwell in and enhance your space. As in Hindu altars, Buddhist altars often include items that symbolize each of the five senses as a way to ensure that all senses are involved in the Buddhist practice. Not only do Buddhist altars provide a place of worship, their presence helps to establish a habitual practice by providing a constant space for worship. A Buddhist altar serves as a demonstration of faith in addition to providing a place for guests to practice. If you have more than one story in your space, it is ideal to locate a Buddhist altar on a higher floor. Altars can even be found in the Christian religion, dating back to biblical days; however, in this realm, they are most often confined to churches and places of worship. Most altars include a selection of meaningful items in addition to incense, flowers or other small offerings, and you don't have to practice any specific religion to find an altar useful. Many meditators and mindfulness practitioners find that having altars in their spaces provides, as in Buddhism, a useful, constant space to create positive, life-affirming habits. If you're interested in seeing how one works for you, follow the easy steps below to create your own personal altar! Choose a Space - Choose a special place in your home or area that you can dedicate to your altar and / or meditation. Ideally, this place is the same all the time and does not move. Clear the Space - As in many feng shui adjustments, it is imperative to clear your space of any negative and pre-existing energy before dedicating it to such an important purpose. Use orange peels, palo santo, sage or even our Space mist, and remember to take this step with positive intention. Set up a Table - Since you will be placing items that are meaningful to you in this altar space, you'll need to find a small table, bench or or sturdy surface where you can place these objects without fear that they'll fall or be easily disturbed. If you'd like, you can also choose a beautiful piece of fabric to lay over your table before adding your items! Choose Your Items - To make your own personal spiritual altar, not necessarily associated with any specific belief system, choose items that are meaningful to you and represent positive aspects of your life. Items can include, but are not limited to, incense burners, space clearing tools, candles, photographs, statues, writing, crystals, mantras, symbols, etc. Arrange the Items - Arrange each of these items in a way that makes sense and is nourishing to you. Ideally, you'll be leaving them in this location, so take care to ensure they're set up so that they won't fall or cause problems (don't leave incense burning when you're out!). Create a Habit - Establish a daily habit of spending time in your altar. 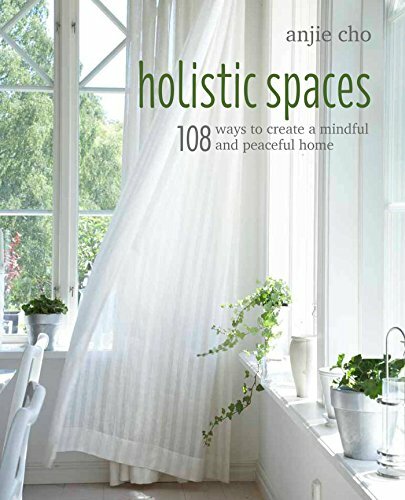 This can include meditation, chanting mantras and other spiritual practices that help you to make space in each day for your soul! If you're creating a new altar for your space, or if you already have a beautiful area dedicated to your spiritual growth, let us know what items you include and what makes your altar so meaningful for you. We welcome pictures, too! If we receive enough, we'll share them as a photo essay!